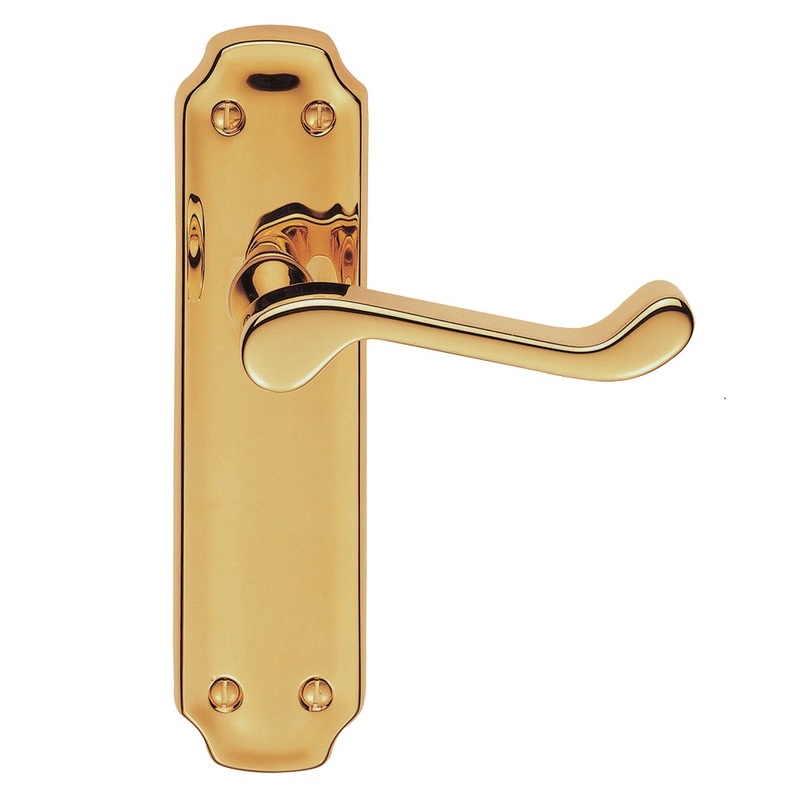 Lever on lock backplate. 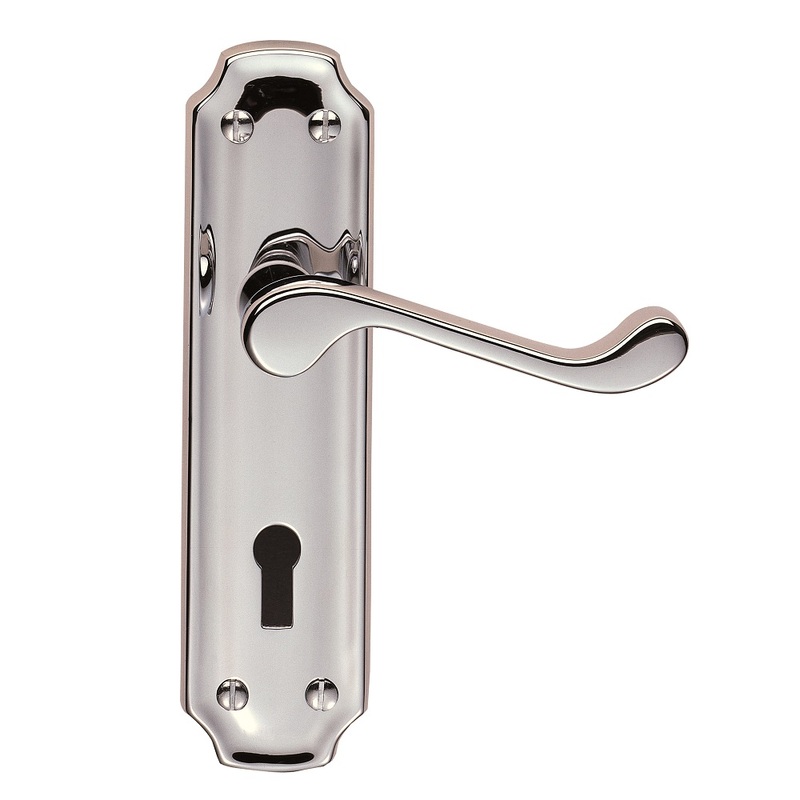 A classic scroll style lever on a shaped and rounded edge backplate. 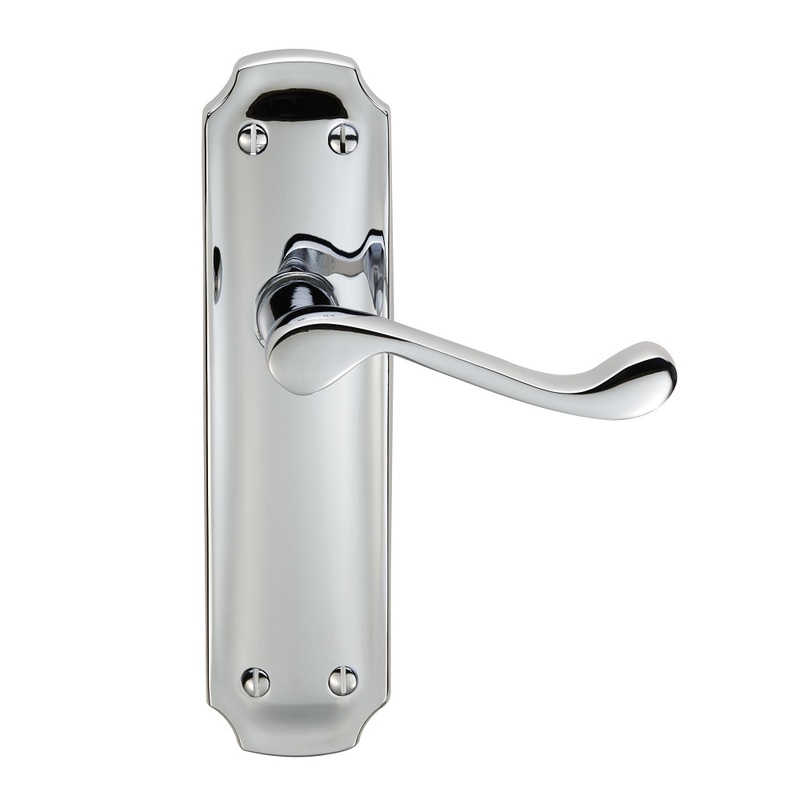 The unique curved edging of the backplate compliments the sweep of the handle, combining a subtle touch with a flair. 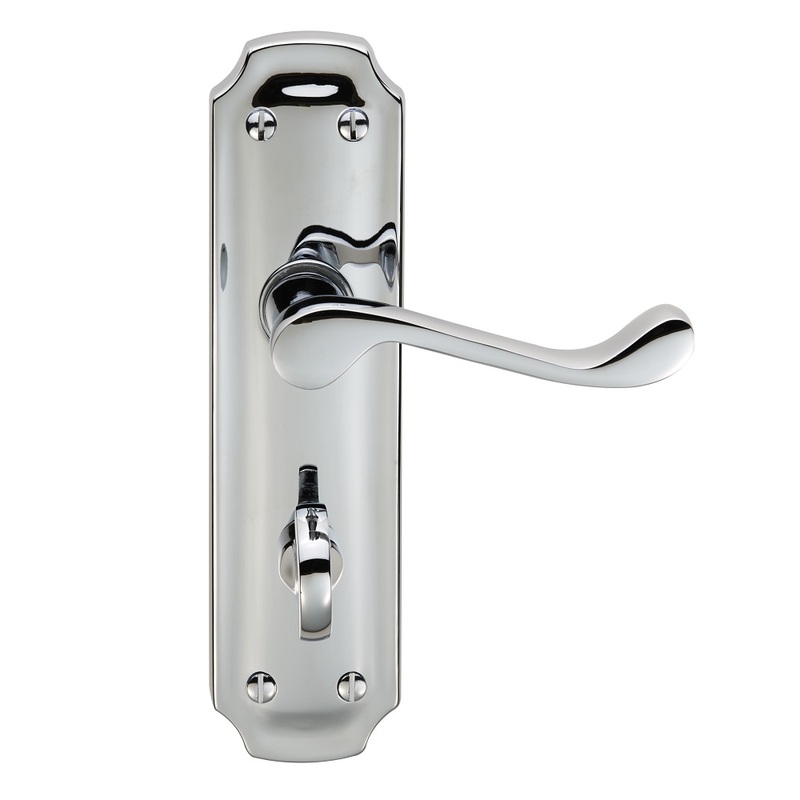 Comes with a 10 year mechanical guarantee and is Fire door rated. 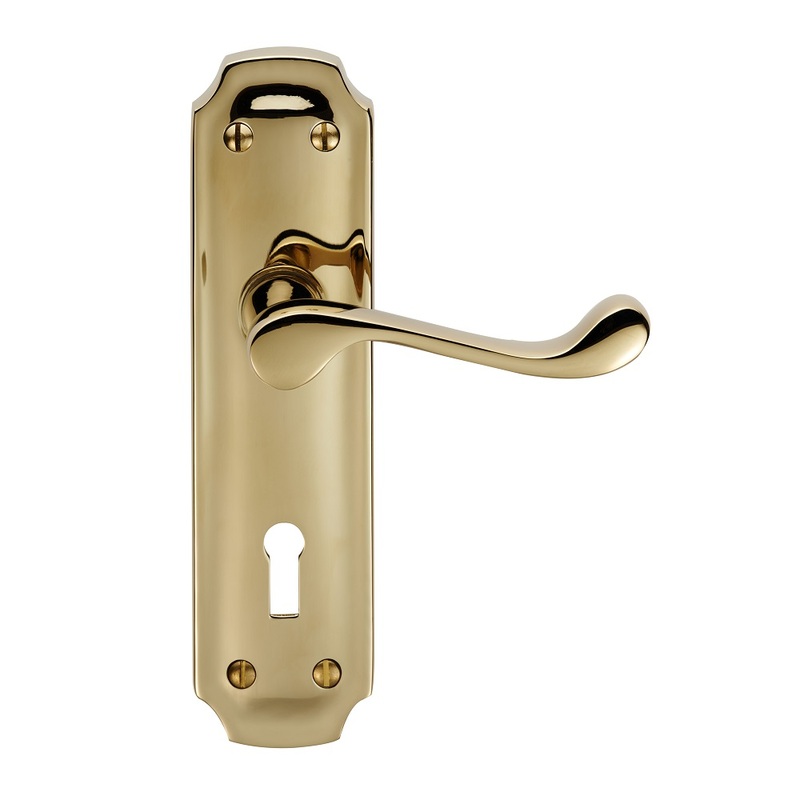 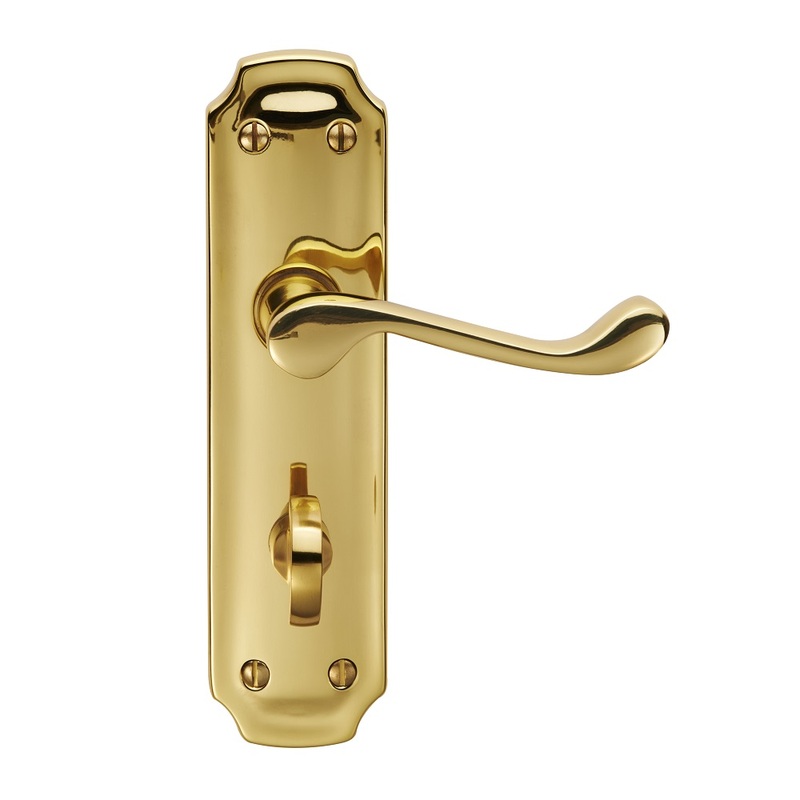 Available in Lock, Latch, or Bathroom versions in different finishes.